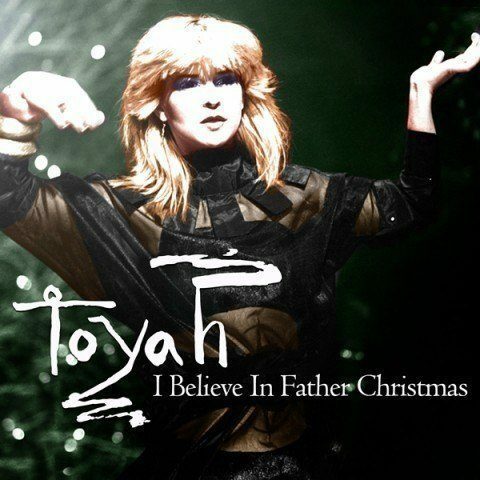 I Believe In Father Christmas is a digital single released to mark the 30th anniversary of Toyah’s version of the Greg Lake classic. Toyah’s version was originally recorded for the 1982 Granada television special Pop Goes Christmas. Toyah, Joel & Keith had played Cardiff St. David’s Hall the previous night and the television recording took place on 9 Dec 1982. The track first appeared on the 1985 LP Mayhem and subsequently on its 2005 CD reissue and on the 1998 Live & More compilation. Toyah’s version was listed, alongside the 1975 original and a 1986 cover by Elaine Paige, as the twenty-fourth in the 50 Best Christmas Songs by UK broadsheet newspaper The Independent in December 2012.